Django Freeman (Jamie Foxx) is a man who walks with a swagger of confidence. He is a sharp shooter who struts back and forth while on horseback making donuts. Of course, he did not start out this way. In fact, similar to the German children’s story that he is told by saviour/partner/mentor Dr. King Schultz (Christoph Waltz). He practically walked through fire to get to this point. He is a man that is willing to stop at nothing to save the woman he loves, even if it costs him his own life. Django Unchained marks Quentin Tarantino’s return to the Spaghetti Western genre after dabbling in it with his film Kill Bill Vol. 2. Though loosely inspired by Sergio Corbucci’s 1966 western Django, Tarantino’s version has one foot firmly planted in the Blaxplotation genre. The film tells the story of Django, a slave who is purchased and freed by a former dentist turned bounty hunter named Dr. King Schultz. Django’s freedom is contingent on helping Dr. King locate the Brittle brothers, a band of killers who were also responsible for the capture and whipping of Django’s wife Broomhilda (Kerry Washington). As Dr. King begins to show Django the tricks of the bounty hunting trade, a genuine friendship begins to develop between the two men. Considering that Dr. King despises slavery, and is rather compassionate to Django’s plight, he agrees to help Django free his wife from a seemingly charming plantation owner named Calvin Candie (Leonardo DiCaprio). Referring to his plantation as “Candyland”, Candie comes from old money and is a shrewd businessman. Outside of his affection for his sister (Laura Cayouette), the only things Candie seems to care about are money and his image. For example, he claims to be a Francophile though he cannot speak a word of French. The idea of Quentin Tarantino tackling slavery may be a little off putting at first, but it quickly becomes apparent that Django Unchained is more in the vein of his previous film, Inglourious Basterds. To view the film as anything other than a revenge film would be a mistake. Tarantino is not striving to make an historically accurate film. Similar to Basterds, which featured a Jewish soldier scalping Nazi soldiers, Tarantino takes glee in reimagining a time where the oppressed can exact revenge on their oppressors. 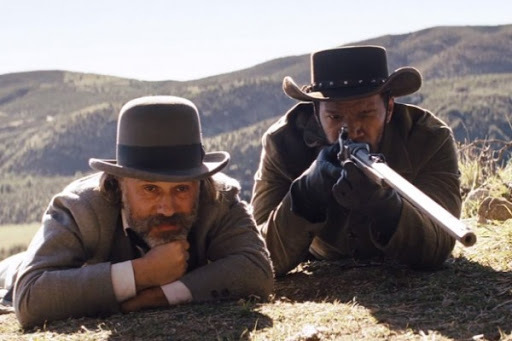 Whether it is scenes involving Django whipping those who once whipped him, or the high Caucasian body count, Tarantino clearly wants Django to be included on the cinematic list of African-American heroes. Despite feeling more like a Blaxploitation film than a Spaghetti Western, Tarantino’s wonderful dialogue and unique characters still remain at the forefront. It does not quite reach the heights of Jackie Brown, another Blaxploitation inspired Tarantino film, but the characters are just as fascinating. Tarantino draws interesting comparisons bwteen how Dr. King and Calvin Candie do business, and how Django and his cunning house slave Stephen (Samuel L. Jackson) view the world. Dr. King and Candie are both men who like to conduct their business with a certain flare for the dramatic. However, Dr. King’s confidence blinds him to how ruthless Candie can be. When it comes to Django and Stephen, we see a difference in regards to the ideologies they buy into. Django represents everything that Stephen and most of the slaves in the film are not…brave. He realizes that you can never be truly free if you are constantly serving a master that is not yourself. Stephen will do anything to maintain the status quo, he has ascended as far as he can in the system he is forced to live within. 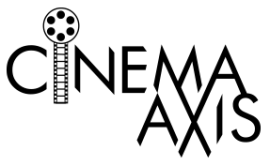 The four men all give strong performances in the film. Foxx brings much fire to the role of Django and has not command the screen like this in quite some time. He and Waltz, who is the lone voice of white compassion in the film, have great chemistry in their scenes together. However, it is the pairing of DiCaprio and Jackson that really steal the show in later sections of the film. DiCaprio brings a thrilling mixture of charm and terror to the role of Candie. Whereas, Jackson manages to tread a fine line to the point where his performance is ominous, but never a caricature. As one of the lone females of importance in the film, Kerry Washington does a good job of playing Broomhilda, the symbol of everlasting happiness in Django’s eyes. If there is a drawback to Django Unchained, it is that the film does not justify its close to three hour running time. The film does lag in certain sections, most notably the part in which Tarantino himself makes an appearance. While it is great to see the acting talents of Michael Parks and John Jarrett on screen, they are not used to their full potential. Aside from a visual gag, in which Tarantino is clearly atoning for the ills of directors of the past, the scene feels unnecessary. To a certain extent the same can be said for the amusing Ku Klux Klan scene involving Don Johnson. While the sequence is supposed to poke fun as the silliness of the Klan in general, it does feel like a one off joke that did not necessarily need to be included. That time could have been spent exploring other characters such as Candie’s “slave trackers”, which includes a lone female tracker played by Zoe Bell. Fortunately Quentin Tarantino fills the film with enough memorable scenes that the positives outweigh the missteps. Django Unchained may not be amongst Tarantino’s best films but it is a thrilling ride nonetheless. Tarantino proves once again that he is still one of the more interesting genre-mashing directors working today. Nice review Courtney. The central take away is that time after time Tarantino gives people something to talk about. Which is always a good thing. The Ku Klux Klan scene IS silly but I, personally, haven't laughed so hard in a long time… even as it went on a tad too long. I think the moment of levity was welcome. Despite the awful experience I went through in seeing that film where the screen went blank for 25 minutes more than 2 hours into the film. I still enjoyed it. Especially that KKK scene which drew a lot of laughs as I sat there w/ a largely African-American audience who were enjoying themselves… until that moment when the screen went blank. Tarantino is definitely one of the most interesting directors working today. I laughed during that scene as well. It just feels a little out of place once you look back at the film as a whole. Granted I would still rather have the Klan gag than the Tarantino/Mining Co. scene. Wow, that means the whole experience was easily well over three hours for you. I hope the theatre at least gave you guys discount vouchers on your next film, or for free popcorn at least. I did get a free pass which I used for Les Miserables. Thanks for passing along the article, it clears of up Zoe Bell questions I had nicely. I wonder if he will be including the extra footage of Bell in the DVD? Or at least go into detail about what he had planned for her character in the commentary.